Because the default WordPress dashboard is “one-size-fits-all” and the web development industry is anything but that. 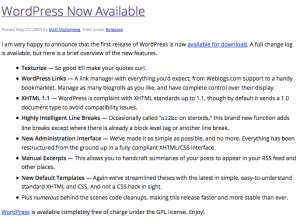 And how do we know what the web development industry needs in a WordPress dashboard? Because we work in web development as well. We have the same goals, we work in the same environment, we face the same challenges – in short, we know what you need because we need it too. Once upon a time… our resourceful team of web developers realized that the default WordPress dashboard, while filling the needs for other users, wasn’t really providing the solutions our profession demanded. We needed to be able to measure online marketing performance, check the status of social media campaigns, see the impact of our latest email marketing program, review paid search campaigns, and much, much more. Web marketing is a demanding industry, where we juggle projects and tweak strategies continually, so we needed a dashboard where we could check the status of all our tasks in a single view. “Simple,” we said, “we’ll just find a plugin that does all that!” But surprise! there wasn’t one that met the criteria…yet. 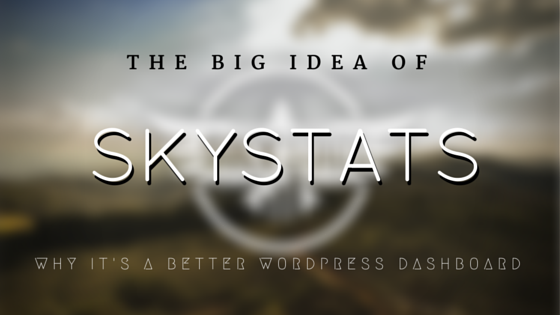 “Less simple, but essential…” we concluded “we’re going to make our own plugin.” And after months of research, planning, reviewing, creating, revising, and lots of sweat and tears (but thankfully no blood…as far as we know), SkyStats was born! 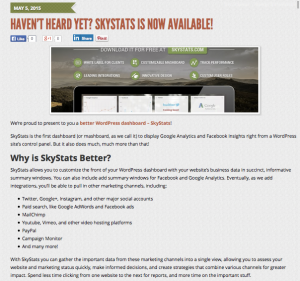 Why is SkyStats better than the WordPress default dashboard? SkyStats is an all-in-one dashboard for WordPress, exactly tailored to web development use, so SEO agencies down to freelance designers can put it to use with impressive results. Even an agency’s clients can benefit from having SkyStats as they’ll appreciate the in-a-nutshell approach to reviewing their site’s marketing progress. The default WordPress dashboard is just that, a default version that isn’t customized to fit a web agency’s demanding requirements. How is SkyStats tailored to the needs of web developers? All your site’s data is in one place. With a single glance you know how your site is performing. Customizable to see data most important to you – see your site’s performance as well as the performance of your social media pages, email marketing, analytics, Google AdWords, PayPal, and more. View and use the data in your decision making. White-label to show your own brand. Exhibit all stats to your clients in one place. Only one item to install, easy to setup. Industry leading integrations, with more incoming. SkyStats helps agencies, business owners, freelancers, and individuals by combining their website and its marketing campaign’s vital data and organizing it front and center. You’ll save time while getting a comprehensive look at your website and marketing campaign status. SEO agencies that want to offer their clients a dashboard. We know the SkyStats plugin works for the web development industry because we are our own target market. We made a product and have seen its benefit within our own web agency, and therefore we know it will work for others. SkyStats is ready, so try it for free! We think you’ll appreciate SkyStats as well! Try the better WordPress dashboard for free.